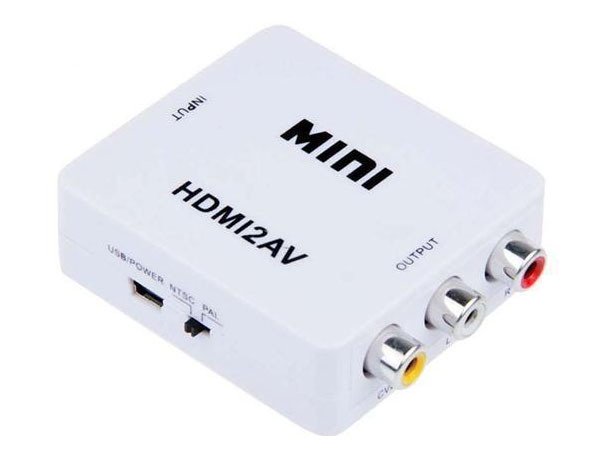 This HDMI to AV unit converts HDMI video & audio to standard AV composite video & stereo audio. Works on 720P or 1080P HDMI into PAL (UK) & NTSC (American) in either 480i or 576i. 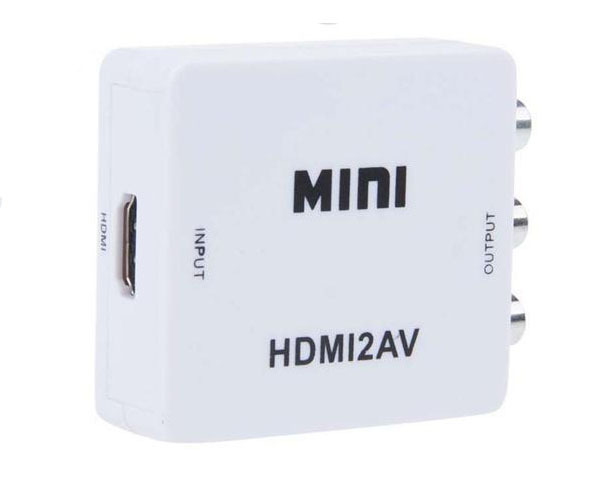 Ideal for connecting modern HD equipment like CCTV DVRs, BlueRay Players, SkyHD Boxes to old SD (standard definition) inc TVs,VHS VCRs,DVD recorders etc. USB powered , so can be powered from the device you are converting.